As with the changing of the season our taste for new flavors changes as well. All summer long I enjoy sipping refreshing gin and tonics, but come fall I crave the warmth and comfort of a more seasonal beverage. 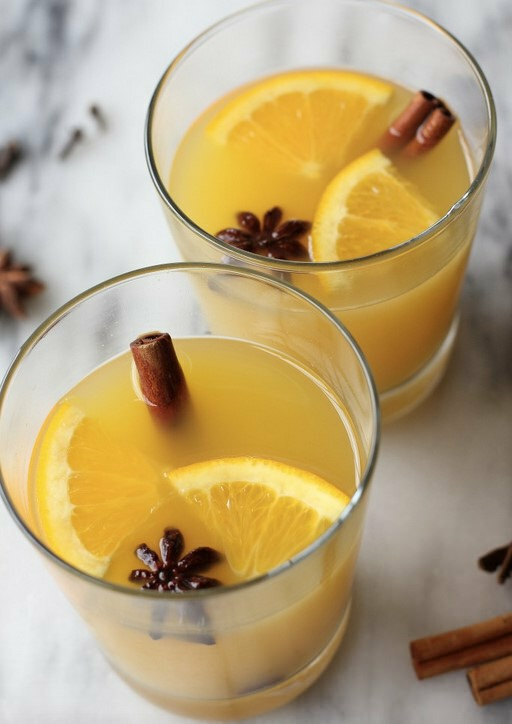 This festive cocktail recipe has everything you want in a fall libation. Cozy spices like cinnamon, cloves, and allspice, plus its warming heat will soothe you inside and out. Like spiced wine, it’s a cocktail we’ll be sipping by the fire all through winter. Put fruit in a 4- to 5-quart pan. Add honey, sugar (use the smaller amount if you prefer drinks on the tart side, the larger if you want a sweeter flavor), cloves and allspice. Pour Prosecco into the hot citrus base and heat until steaming, about 8 minutes. Keep warm over low heat. Ladle into heatproof cups or wineglasses and garnish each drink with some of the spices and citrus as shown.